This page lists many of the important sources of recorded information about people in Ireland over the last 2-3 centuries, with information about how to access them. It would be lovely to be able to say that all or even most were available at one central location, or better still available online, but it isn’t so. A thorough search of Irish records will inevitably involve a lot of legwork, but hopefully this list will at least set you on the right road. One of the first things many people hear when they start thinking about researching their Irish ancestors is that “all the records were lost in a fire“. So, is that really the case? No. There have been valuable records lost in two fires, but plenty remain. This fire, lit by the IRA on June 28th 1922 during the Irish Civil War, was an enormous one by any standards. The building blazed for five days and so intense was the heat that the copper dome melted and the stonework was still cooling five months later. The purpose of the IRA was to undermine the British administration by destroying tax and local government records. In the process however they also destroyed numerous precious and valuable historical records, robbing us of hundreds of years of documented history. 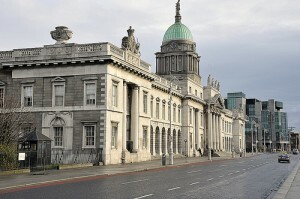 The Custom House was later rebuilt and restored, but it’s clear even to-day, from the different colour stone of the drum and dome, how significant the damage was. This was not the first time Irish records had been so destroyed. 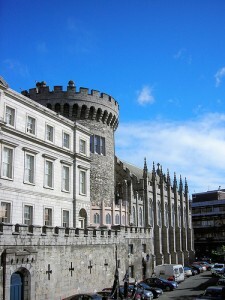 In 1758 a fire at Bermingham Tower in Dublin Castle resulted in the loss of almost all important administrative records in existence at that time, a priceless body of documents which went back as far as the mid 1300s. In many ways this was a more catastrophic fire than the Custom House one from a historical point of view but it has fewer implications for most genealogical researchers. It has made tracing information earlier than the mid 18th century pretty much a futile exercise for most people. A Census was taken in Ireland every 10 years from 1811 on. Records relating to those of 1811 to 1851 were lost in the fire. 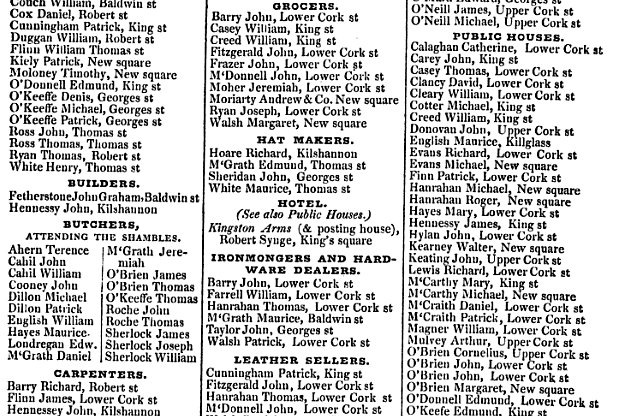 Church of Ireland parish Registers, containing birth and marriage and burial records, some of which dated back to the 17th century were stored in the Custom House and were lost. While many of the records exist still in copy form in local churches, a great central depository was gone forever. In spite of the fire there is still an enormous wealth of records still in safe keeping, and for many researchers the fire losses will not represent a major setback.